Brandi Turner has spent her entire life being the good girl. Good grades. Church every Sunday. Responsible alcohol use and never anything stronger. Certainly no one-night stands. Brandi has become an expert at playing it safe. Ian Hodges (a.k.a. Blaze) has never muttered a truthful word in his existence. He's pompous, arrogant, and never beds the same woman twice. He’s a rebel who lives his life by no rules. 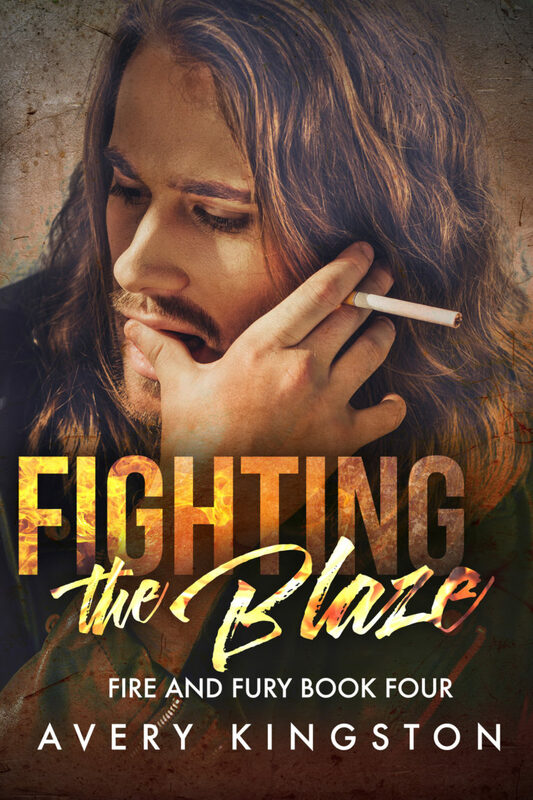 Blaze is the last person on earth Brandi should fall for. But even so, something about this man lights a fire inside her. 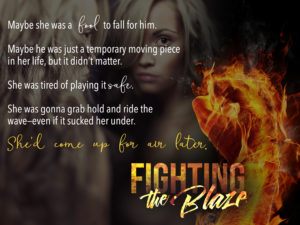 Brandi has spent her life being a good girl, but Blaze makes her want to be bad. Very bad. What if she just gave in? 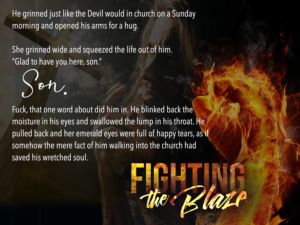 Dear Readers: Fighting the Blaze is book four in the Fire and Fury series and can be read as a standalone. It begins the tale of Brandi and Blaze’s epic love story. If you want to read the other books in the series, books 1-3 focus on one couple, (Scott and Tori) and those must be read in order. You can read part one of Scott and Tori’s story in Chasing Fire, part two in Smoke and Mirrors and part three in Burn for You. All books are meant for a mature audience.